Vasopressor-induced hypertension is routinely indicated for prevention and treatment of cerebral vasospasm (CVS) after subarachnoid haemorrhage (SAH). Mechanisms underlying patients’ clinical improvement during vasopressor-induced hypertension remain incompletely understood. 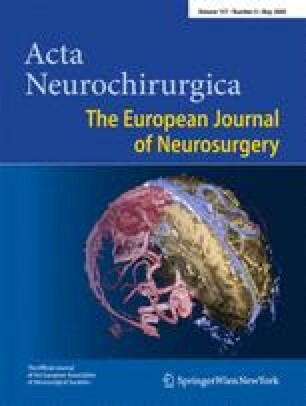 The aim of this study was to evaluate angiographic effects of normovolaemic Norepinephrine (NE)-induced hypertension therapy on the rabbit basilar artery (BA) after SAH. Cerebral vasospasm was induced using the one-haemorrhage rabbit model; sham-operated animals served as controls. Five days later the animals underwent follow-up angiography prior to and during NE-induced hypertension. Changes in diameter of the BA were digitally calculated in mean µm ± SEM (standard error of mean). Significant CVS of 14.2% was documented in the BA of the SAH animals on day 5 compared to the baseline angiogram on day 0 (n = 12, p < 0.01), whereas the BA of the control animals remained statistically unchanged (n = 12, p > 0.05). During systemic administration of NE, mean arterial pressure increased from 70.0 ± 1.9 mmHg to 136.0 ± 2.1 mmHg in the SAH group (n = 12, p < 0.001) and from 72.0 ± 3.1 to 137.8 ± 1.3 in the control group (n = 12, p < 0.001). On day 5 after SAH, a significant dilatation of the BA in response to norepinephrine could be demonstrated in both groups. The diameter of the BA in the SAH group increased from 640.5 ± 17.5 µm to 722.5 ± 23.7 µm (n = 12, p < 0.05; ). In the control group the diameter increased from 716.8 ± 15.5 µm to 779.9 ± 24.1 µm (n = 12, p < 0.05). This study demonstrated that NE-induced hypertension causes angiographic dilatation of the BA in the SAH rabbit model. Based on these observations, it can be hypothesised that clinical improvement during vasopressor-induced hypertension therapy after SAH might be explained with cerebral vasodilatation mechanisms that lead to improvement of cerebral blood flow. Volker Neuschmelting and Ali-Reza Fathi contributed equally to the study. This study was supported by the Cerebrovascular Research Fund from the Departments of Neurosurgery and Intensive Care Medicine (Account Nr. 34-160), University of Bern, and from an unrestricted grant from Actelion Ltd, Allschwil, Switzerland. We are grateful to and thank H.R. Widmer, PhD, J. Schmid, RN, and Mr. H. Rohrer from the Departments of Neurosurgery and Neuroradiology, Bern University Hospital, for their professional laboratory support. None of the authors has any conflict of interest to declare.